Affecting "a small number of units"
Apple has admitted that "a small number of units" of the Apple iPod touch are suffering from defective, dark screens. We reported on the problems with dark screens on the Apple iPod touch yesterday, and since Apple has told Wall Street Journal technology writer Walt Mossberg that the issue "is being remedied". Mossberg noted on his blog that "some early Apple iPod Touch units have had defective screens, where images appeared too dark," but added that "my two test units displayed beautiful images". 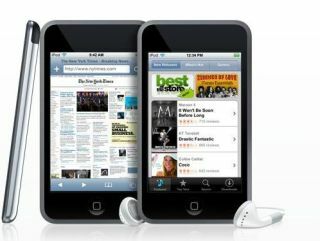 It is not clear whether Apple when properly working Apple iPod touch units will be available to buy, iLounge says. We're waiting for Apple to come back to us with recommendations on what to do if you've been affected by this problem. We'll update the story as soon as it does.